Rockabill got up close home to take the Paddy Power Amateur Riders Derby Handicap under Tom Hamilton for Joseph O'Brien. 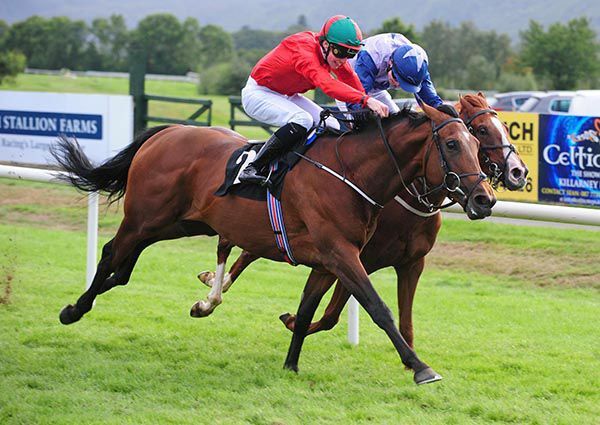 Successful at Killarney last week, the son of Fastnet Rock was upped in trip to a mile and a half for the first time this evening, and was sent off at 13/2 in the colours of owner Demi O'Byrne. Settled towards rear, the bay victor was pushed along on the outer from the three furlong pole, and soon made progress. He was ridden to challenge with a furlong left to race, getting to the front inside the final 100 yards, before going on to prevail by half a length. Bay Hill, who improved to lead from the four furlong pole, was the one just denied, and he was returned at 20/1 under Aine O'Connor for Padraig Roche. The 5/2 favourite Makitorix was a nose back in third, with Patrick Mullins aboard this one for his father Willie. O'Brien said afterwards: "He's been a slow learner and he's toughed it out. We liked him early on and then he had us scratching our heads. He's started to progress like a typical Fastnet Rock, and that was even a huge step up from his last run. "We think he'll stay a bit further, and he's a nice colt. "The plan was to sit second or third but we ended up sitting second or third last! 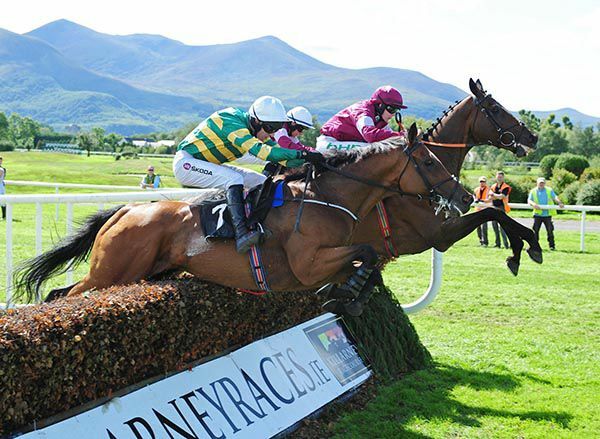 That was a step up in class from a small field in Killarney to a big field around here, and he was green and immature in the first half of the race." the easy to back Stella d'Oro was a surprise winner of the last at Tipperary, the Buy Tickets Online @TipperaryRaces.ie Maiden. A good second on debut at Dundalk, the Joseph O'Brien trained bay was as short as 5/1 in early shows, but opened on-course at 12s, before going off a 14/1 chance. Settled behind the leaders on the inner by Seamie Heffernan, the son of Sea The Stars was switched to the outer over two furlongs from home. He was soon pushed along to challenge, and got to the front inside the final furlong, keeping on well from there to score by two lengths. The well-backed 6/4 favourite Sayar (from 9/4) finished second under Colin Keane for Willie Mullins, while 7/4 chance Freetown was a head back in third. Joseph O'Brien said afterwards: "That was a lovely performance and he is a nice horse. He took a bit of time and the owners have had to be very patient. We were able to give him time, and are now reaping the rewards. "He stepped up nicely from his debut and we'll see what the handicapper does now but we could look at some of those mile and a half listed races later in the year. "He should stay further being by Sea The Stars." Irish Derby hero Latrobe headlines three nominations for Joseph O'Brien as the handler takes aim at a second successive victory in the Lexus Melbourne Cup on November 6th. O’Brien enjoyed the highlight of his training career so far as Rekindling led home a memorable one-two-three for the Irish team at Flemington in 2017, with Johannes Vermeer second for Aidan O’Brien and Max Dynamite third for Willie Mullins. While neither Rekindling or Johannes Vermeer is in contention this time, Max Dynamite is one of Mullins’ possibles again along with the likes of Stratum, Thomas Hobson and Ascot winner Lagostovegas. Joseph O’Brien has Latrobe in the reckoning as well as Ming and Master Of Reality while Torcedor, who was trained by Jessica Harrington until his sale earlier this month, has been entered by new handler Andreas Wohler. Aidan O’Brien has nominated 12 horses, headed by leading St Leger hope Kew Gardens with Deauville, Idaho, Cliffs Of Moher and Lancaster Bomber other notable contenders. It is looking more than likely that Joseph will scrap the plans that he had for Group 1 Irish Derby winner Latrobe to take on the wonder mare Winx in the Group 1 Cox plate in Australia. He has indicated that the Camelot colt will be stepped up in trip as he looks to tackle the final classic of the English season the Group 1 St Leger at Doncaster on the 15th of September. 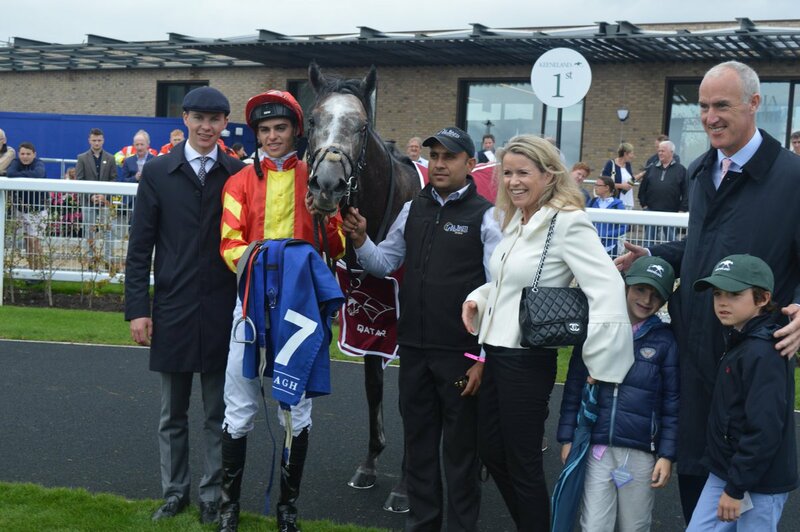 Joseph was using the Group 1 Juddmonte International as a fact-finding mission for Latrobe, but the colt was unable to match Roaring Lion's turn of foot and trailed in seventh of the eight runners under Wayne Lordan at York last week. Joseph said: "We went to York to see how Latrobe would get on over 10 furlongs against older horses. We knew it would tell us where we stand with him and help us figure what route to take with him for the rest of the season. We are thinking of stepping him back up in trip now and aiming him at the St Leger at Doncaster. The Irish St Leger is a lesser possibility. He saw out the mile and a half in the Irish Derby really well, so you would be hopeful that a mile and three-quarters at Doncaster would be right up his street. He is certainly not short of pace and that is why we had a crack at the Juddmonte, but he stays very well too." If all goes well at Doncaster he may aim to follow in the hoof prints of his stable companion of last year Rekindling in participating in this year’s Group 1 Melbourne Cup in November in Australia. 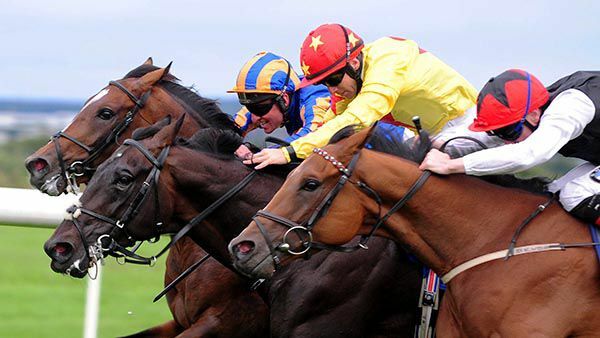 Latrobe is currently 16/1 with Boylesports for the St Leger and 33/1 with bet 365 for the Melbourne Cup. 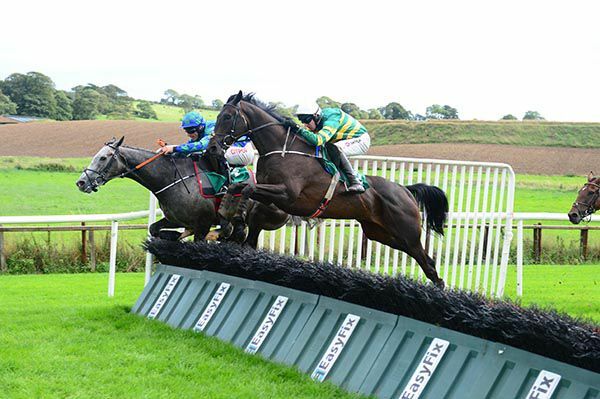 Paris Texas got a deserved win to his name in the opener at Downpatrick this afternoon, the Mash Direct Maiden Hurdle. Placed on his last three starts, the Joseph O'Brien trained five-year-old was sent off the 15/8 favourite (touched 2s on-course) with Mark Walsh aboard. Settled behind the leaders, the French bred son of Kapgarde took closer order before the last and soon challenged. He got to the front shortly after that flight, and stretched clear in the final 150 yards, going on to score by five and a half lengths. The front-running Silver Star (11/4 from 7/2) finished second under Davy Russell for Gordon Elliott, while Jonnigraig (11/2) was another seven and a half lengths back in third. Walsh said afterwards: "It was a poor enough race, he's rated 112 and got away with it. "He has been showing plenty of form in his last few runs. It was a weak race and he got through it. "That's his grade, he's 112 and hopefully he can go a bit higher. "He travelled away and he'll get further in time." Joseph has 2 new owners Paul Smith & Mrs Michael J Byrne. After winning the opener with Air Supremacy, Monarch completed a double for Joseph O'Brien, Mark Walsh and JP McManus in the Great Southern Hotel Beginners Chase. A three time hurdles winner, and also successful on the level, the bay son of Galileo (also the sire of Air Supremacy) was making his debut over fences this afternoon. Last seen finishing down the field in the Galway Hurdle, he was sent off the 4/1 favourite today, just ahead of four rivals who were returned at 9/2. Given a patient ride by Walsh, he gradually closed on the leaders from three out, and got to the front shortly after the last, going on to score snugly by a length and three parts. 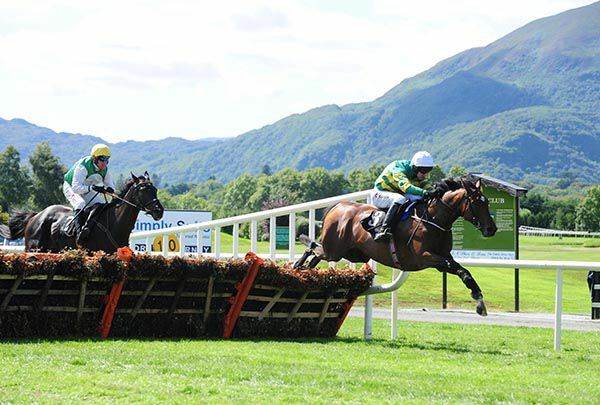 Frank Berry, racing manager for JP McManus, said: "He has taken well to chasing but we've no big plans. "He jumped great and we'll look down the novice route now." Air Supremacy made a winning debut over flights, as he took the opener at Killarney this afternoon, the seamusweldon.com Maiden Hurdle. Previously trained by Aidan O'Brien, the son of Galileo was last seen winning a Corinthian Challenge Race at the Curragh. Now under the care of Joseph O'Brien, and owned by JP McManus, the four-year-old gelding was sent off a 3/1 joint-favourite. Settled behind the leaders by Mark Walsh, he wasn't fluent on a number of occasions, but still came to challenge at the third last. He was ridden and got to the front before the final flight, keeping on well from there to score comfortably by four lengths. Frank Berry, racing manager to JP McManus, said afterwards: "He has a bit to learn about jumping but it was nice to get it out of the way and he did it nicely. Hopefully his jumping will improve and he's a nice horse. "He could go to Listowel for a novice hurdle next." 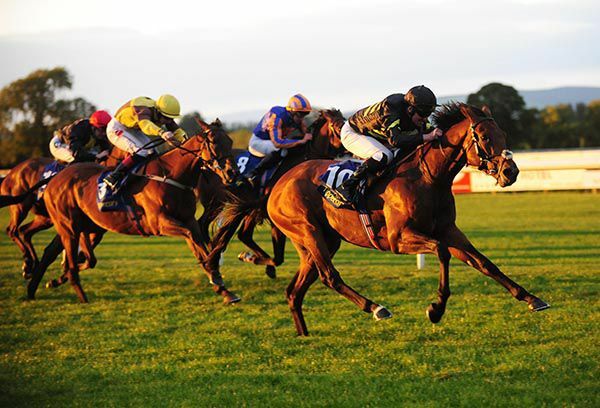 Handicap first-timer National Wealth prevailed in the Plaza Hotel Handicap at Killarney under Seamie Heffernan. 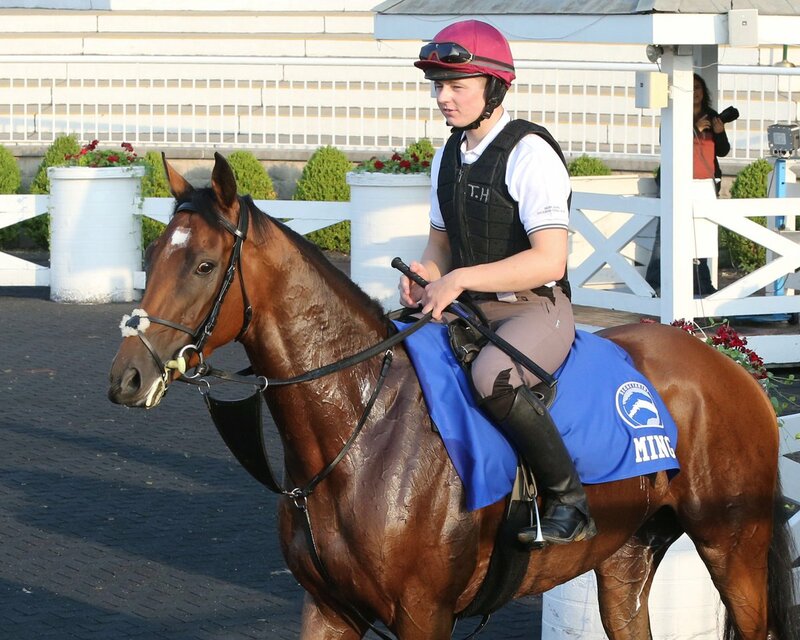 Backed from 6/1 into 9/2 favouritism, the successful three-year-old, a consistent sort, was equipped with a tongue-strap for the initial occasion, stepping up to this mile six furlong trip. In the end the son of Invincible Spirit held on by half a length and a head from Hurricane Sky and Touch Of Gold. "The trip was a question mark with his pedigree but it was worth giving it a whirl and we thought it might be worth taking a chance making the running with him," said Kevin Blake, representing winning trainer Joseph O'Brien. "The seemed to crawl and he battled away. "He showed a good attitude and he could go jumping at some stage." There was another tight finish in the apprentice handicap at Killarney as the Joseph O'Brien-trained Rockabill edged the verdict for Shane Crosse. It turned into a good duel inside the final furlong between the Fastnet Rock colt and For Pleasure. Rockabill just found a bit more close home to stick his neck out for a head success. The 11/2 winner had been second on his handicap debut over course and distance last month. It was an eleventh winner of the season for Crosse. 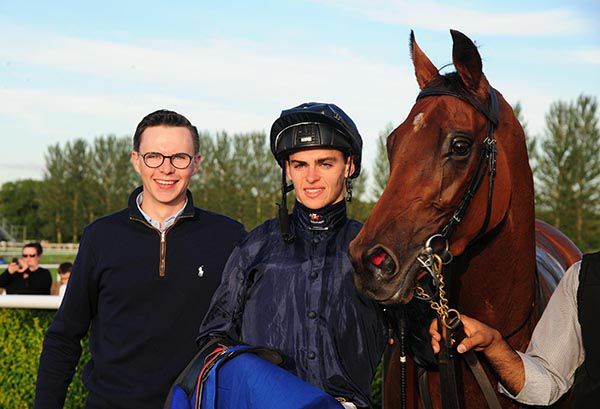 Ace Combat made a winning debut for trainer Joseph O'Brien at Roscommon today as the French import landed the Londis Roscommon Maiden and in the process completed a double for jockey Wayne Lordan. The Sun Bloodstock owned son of Shamardal finished last on his only start as a juvenile last November when trained by Criquette Head-Maarek but today improved to score a narrow head and short-head win over Freetown and Crecerelle. O'Brien, notching his 51st winner of the season, wasn't present but jockey Lordan, earlier successful on Thomond O'Mara's Hatton Cross, said he's a lovely big horse and it was his first run for Joseph. He thought he might want 1m4f, he's a little bit babyish and that trip might suit him better. “He jumped and travelled and put his head down and tried. He's a fine big horse. 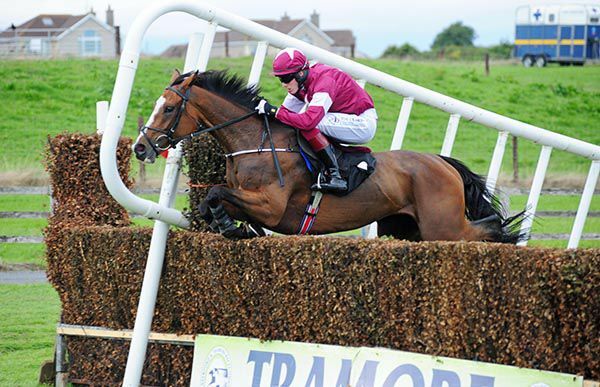 Dawn In The Park put up an improved performance over fences when making all in the Jim Harney /Joe O’Shea Memorial Mares Beginners Chase at Tramore. The 10/1 chance, trained by Joseph O'Brien for Gigginstown, was having her sixth run over fences and adding to a maiden hurdle success at Clonmel last summer. Shane Shortall’s mount shrugged off the challenge of 6/4 favourite Conduct Yourself at the second last and, despite a mistake at the final fence, kept on well to score by eight and a half lengths. The favourite held off Holly Flight by half a length for the minor honours. Shortall said, "It was the plan to make all. She was out of sorts lately but Joseph changed her training regime. 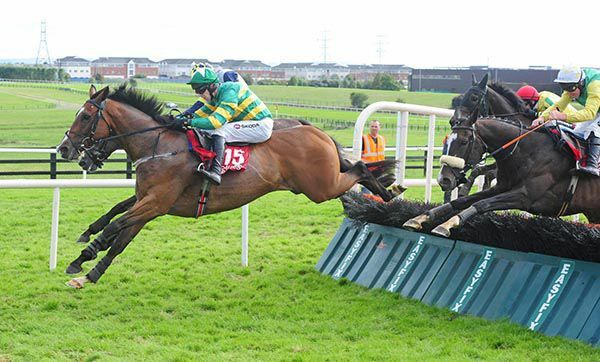 "She ran very well first time over fences at Leopardstown, and was unlucky to come down. We said we'd let her enjoy herself out in front today, and she done it well. "She made a mistake at the last but she had plenty in hand." 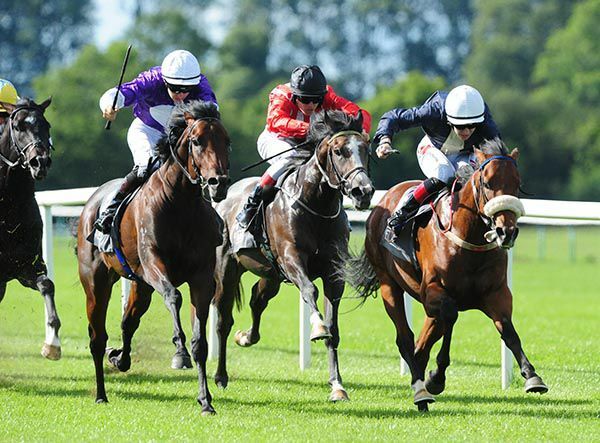 Pedisnap completed a double for Joseph O'Brien (earlier successful with Facethepuckout), as she got up close home to take the first divide of the Gowran Park Apprentice Handicap. Already twice successful this season, the daughter of Footstepsinthesand was last seen finishing ninth of twenty at Leopardstown last Thursday. Available at 8/1 in early shows, the bay victor came in for plenty of market support, opening on-course at 4s, before going off the 11/4 second favourite. Settled in mid-division, she was pushed along and closed on the front-running Lizard Pointfrom the two furlong pole. She was ridden in third from a furlong out, and kept on best from there, getting up to prevail by a neck. "Shane and Donnacha have rode her the last twice and both said to try her going a bit further," said O'Brien. "That was her first time over a mile-and-a-quarter. It was nice to see her get the trip well and that's probably where the little bit of improvement came from again. She's gone up a lot in the handicap. "Shane gave her a great ride today, he was strong on her and didn't panic on her. "I'm delighted for the owner John (Farrell) as she's after winning three this year. "She's a nice hardy filly. If every horse won three races in the year you'd be happy." Facethepuckout provided Sarah O'Brien with her first success as an owner, as he took the Derek Ryan Live After Racing Nursery Handicap. O'Brien combined with her brothers Joseph (trainer) and Donnacha (rider) for this win, with the victorious son of Excelebration sent off the 5/4 favourite. 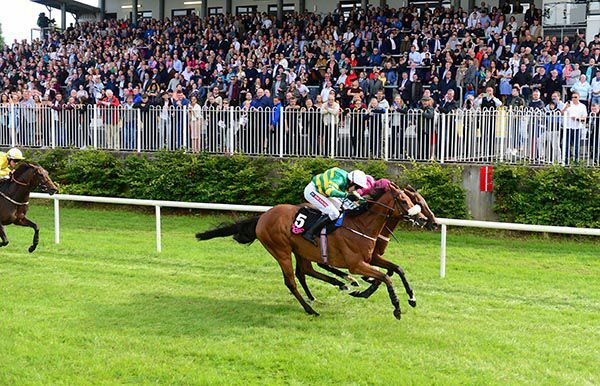 Beaten by just a neck at the Galway Festival, the bay colt raced in second and appeared to jump a sand path over four furlongs out. He soon joined the front-running Dandy Belle (7/2) from early in the straight, and needed to be ridden out inside the final furlong to see off that rival by half a length. Sean Davis was aboard the runner-up for Richard O'Brien, while Silver Service was another two and a quarter lengths back in third. "It's nice for Sarah as it's her first winner," the winning handler said. 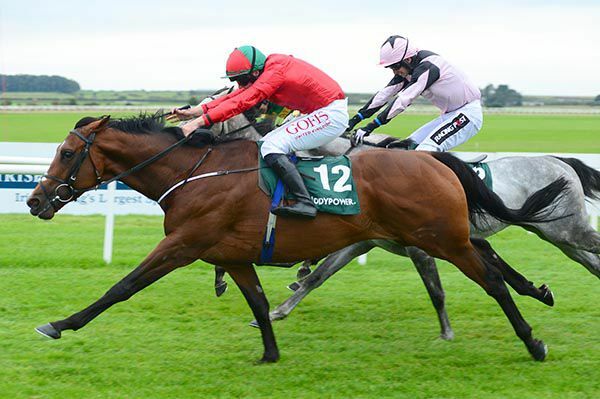 "Donnacha gave him a nice ride and on his Galway run he was entitled to be thereabouts. "He'd probably be okay going a mile as well. He'll go for another nursery and I think there is more progression to come from him." Joseph O’Brien is set to run his Dubai Duty Free Irish Derby winner Latrobe in the Juddmonte International at York next week. Latrobe had Saxon Warrior, trained by O’Brien’s father Aidan, back in third at the Curragh and the pair will clash again at York. “Saxon Warrior will be very hard to beat but unfortunately he’s not the only danger. There are a number of other high class horses but if you’re not in you can’t win,” the trainer added. Is Latrobe set for a show down with Winx? Melbourne Cup winning trainer Joseph O’Brien has decided to enter his Irish Derby winner, Latrobe, in this year’s Cox Plate in Melbourne, Australia. 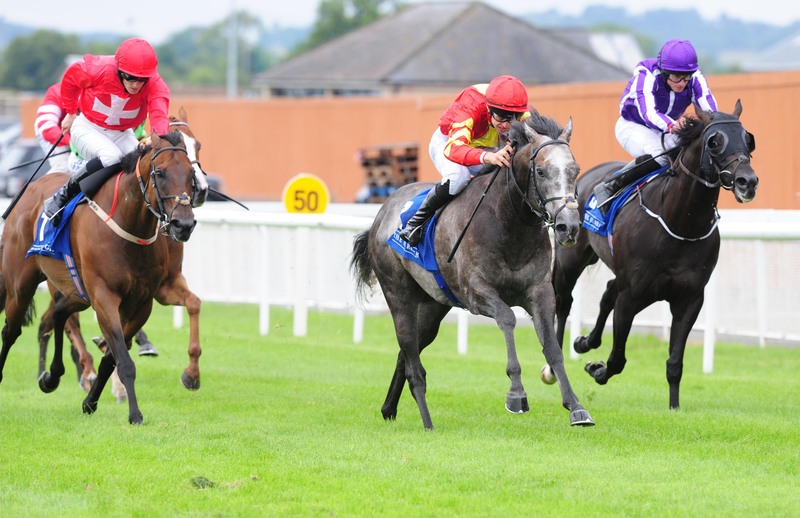 O'Brien will be hoping to emulate his father’ Aidan's success in the race four years ago in 2014. Aidan’s victory, in what is often referred to as “the race where legends are made,” came courtesy of a horse appropriately named Adelaide. The Cox Plate is Australia’s top weight-for-age horse race and takes place at Moonee Valley racecourse on Saturday the 27th of October the second day of the Cox Plate Carnival. The race is run over 2,040 metres which is just over 1m2f. If Latrobe is to win the race, the young colt will have to beat the famous Winx, and that could be a very tall order. There is no doubt about it; if Latrobe is to be in with a chance of running in the Cox Plate let alone beating Winx, the Irish colt has to frank the form of his Irish Derby victory. 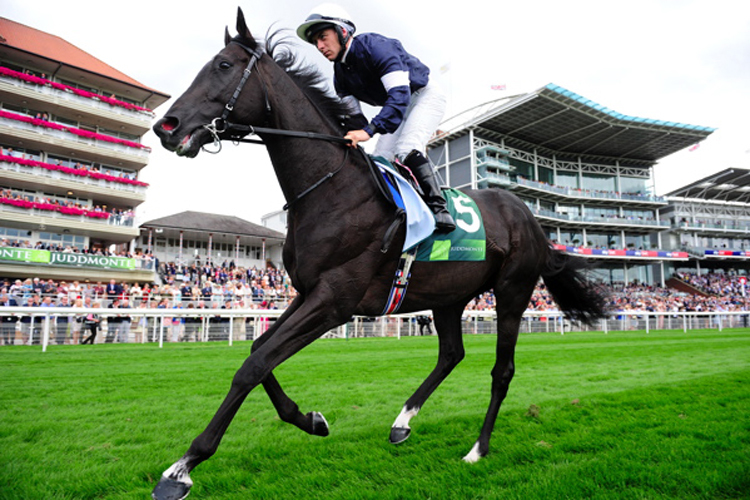 His next run according to O’Brien may well be an appearance in the Juddmonte International Stakes at York on the 22nd of August. The O'Brien dynasty has a good record in the Juddmonte. In 2013 Declaration of War trained by Aidan and ridden by son, Joseph, won easily. In 2014 the same combination prevailed when Australia was a ready winner. At this point in time Latrobe is also entered in the Great Voltigeur Stakes at York, but according to Joseph O'Brien, they might well switch over to the Juddmonte instead. As to whether or not Latrobe does travel to Australia for the 98th running of the Cox Plate, the final decision will rest with owner Lloyd Williams. One thing is for sure - it would make a fascinating proposition to see if the Irish Derby winner can take on and beat the legendary Winx. Joseph O’Brien could send Ming back on his travels later in the year after the young trainer expressed satisfaction with his effort in defeat at Arlington on Saturday. Stepping up markedly in class, the Pour Moi colt finished sixth of 13 in the Secretariat Stakes, just behind Dermot Weld’s Bandua (third) and Mick Halford’s Platinum Warrior (fourth). Ming was having his first run in the colours of Mohammed Hamad Khalifa Al-Attiyah and discussions will take place before his next target is decided. O’Brien said: “He ran a cracker. Billy (Lee) was delighted with him. He said he just got his ground taken at the bottom of the straight and he thinks that might have cost him third. “He galloped out to the line well and we were very happy. Where he goes next we’re not sure and we’ll talk to the owners and see what the plan is after that. “He’ll have a little break at some stage and might be a horse to travel in the winter. After winning the fifth with Speak In Colours, Tremendous Leap completed a 54/1 double for Joseph O'Brien in the concluding Sensational Kids Handicap. Settled in mid-division, the chestnut gelding was pushed along over two furlongs out and soon came with his challenge. He was ridden with over a furlong to race, and kept on best in the closing stages to prevail by three parts of a length, with the 11/4 favourite Lethal Power in second. Chris Hayes was aboard the runner-up for Johnny Murtagh, while O'Brien also saddled the third horse home, and that was Band Of Outlaws who was returned at 9/2. O'Brien said afterwards: "He was working very well and running well but not winning. He kept getting placed so it's nice to get him to win and it was a nice pot and Wayne gave him a great ride. "He's been a frustrating horse but hopefully he can go forward from here. "Obviously the light weight was a big help. We'll go for another handicap and see what happens." 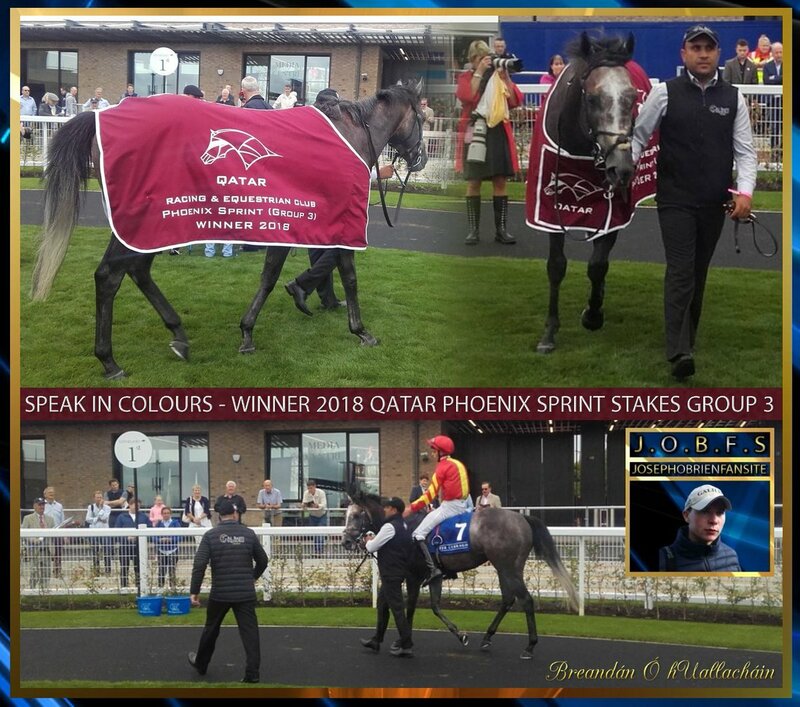 Speak In Colours recorded his first success since joining Joseph O'Brien, as he took the Group 3 Qatar Racing & Equestrian Club Phoenix Sprint Stakes. 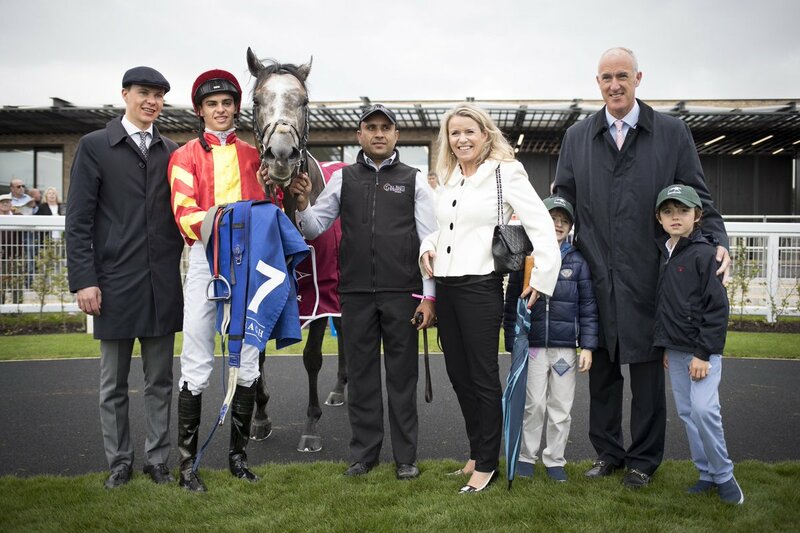 Twice successful in the UK when trained by Marco Botti, the son of Excelebration was beaten by just a short head on his debut for O'Brien at Navan in April. He was then third in a Group 3 at Naas, before finishing fourteenth of twenty-two in the Commonwealth Cup at Royal Ascot. 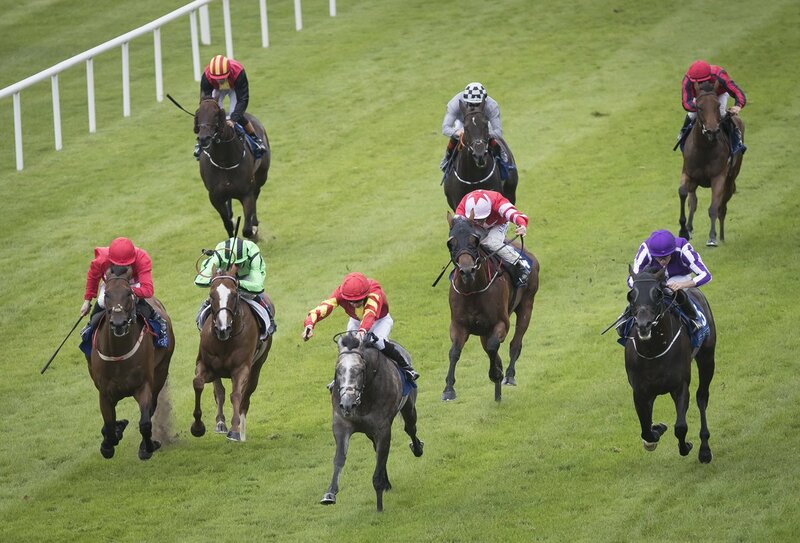 Sent off at 4/1 this afternoon, the grey victor raced towards rear early on under Donnacha O'Brien. He took closer order from halfway and was ridden to challenge from the two furlong pole, hitting the front from a furlong out before going on to score by a length and a quarter. The winning trainer said: "He had a couple of nice runs earlier in the year. He was a bit disappointing in Ascot but that was a funny race and it's nice to get him back on track today. "He had good form on good ground as a two-year-old so we weren't worried about that and it was a pretty quick time. "Donnacha said he was happy throughout. He said he put him in gear and he got to the front a bit sooner than he wanted but he was comfortable the whole way. "He has Haydock (the 32Red Sprint Cup Stakes) and all those options. We wanted to get today out of the way and now we'll talk to the owners see from there. He handles an ease in the ground too." 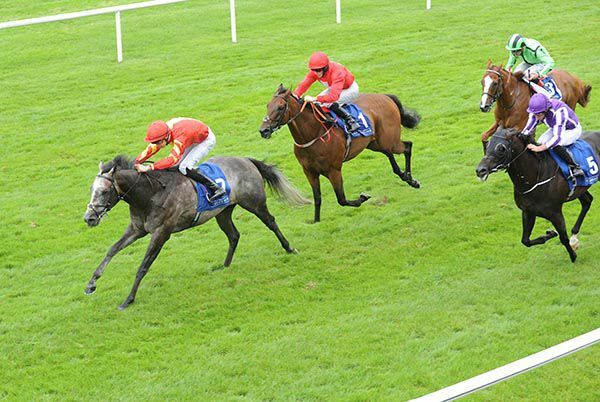 Julienne completed a treble for Donnacha O'Brien, and a double for his brother Joseph, as she justified favouritism in the www.tipperaryraces.ie Fillies Maiden. 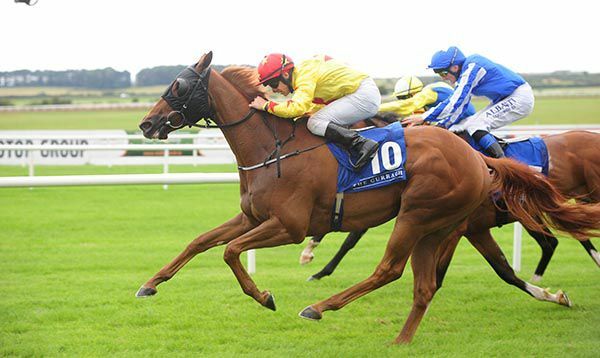 Unplaced in two starts last year, the daughter of Galileo put in a much improved performance at the Curragh on Monday, going down by just a nose. Expected to go one place better this evening, she was sent off the 6/4 favourite, and raced mainly in fifth. She took closer order on the outer entering the straight, and was ridden to the front inside the final furlong, keeping on well from there to score comfortably, by a length and a half. The winning trainer said afterwards: "She had a good run last year and then disappointed, probably because of the soft ground. "She ran well on Monday and came out of the race well. She is a well bred type and hopefully she can get some black-type eventually - that's what it's all about with these well-bred fillies." The Joseph O'Brien trained Tenax made it third time lucky in the opener at Tipperary, the Foran Equine Irish EBF Auction Maiden. Last of seven on debut at the Curragh in June, the son of Slade Power put in a much improved performance to finish third on his most recent outing at Fairyhouse. Sent off the 3/1 favourite today, the Orbis Bloodstock owned colt was settled in second by Donnacha O'Brien. He was ridden in pursuit of the front-running Backpfeifengesicht from a furlong out, and only reeled that rival in close home, getting up to score by head. 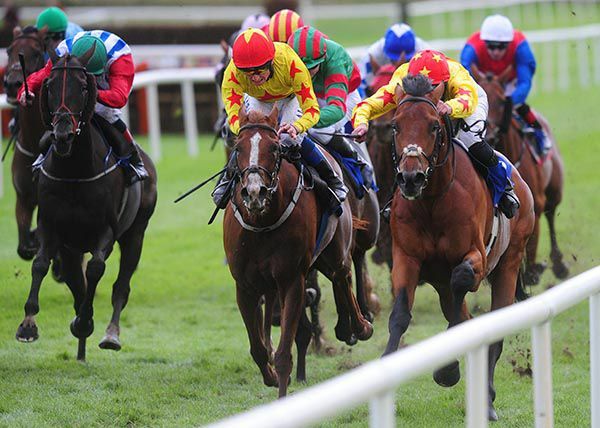 The winner was sold for E43,000 at the Goffs Sportsmans Sale last September. There was another close finish in the second at Sligo, the After Race Party At The Glasshouse Hotel Rated Novice Hurdle, with Gold Seal just prevailing under Barry Geraghty for Joseph O'Brien. 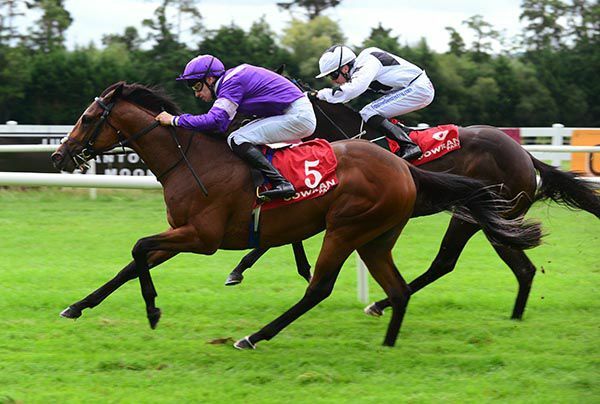 Successful at Roscommon last month, the four-year-old son of Galileo finished third on his two starts since at Bellewstown and Killarney respectively. Sent off at 9/4 this evening (from 11/4), the JP McManus owned victor was only third jumping the last, but stayed on best under pressure on the run-in, getting up to prevail by a nose. Mysloegin (11/4) was the one just denied, with Paul Townend aboard this six-year-old for Jimmy Finn. The Last Indian (7/4f), who was forced wide approaching the last, was another two and three parts of a length back in third. "I thought I was well up to be honest - well I thought it was more than a nose anyway," said Geraghty. Joseph O'Brien saddled his first winner at this year's Galway Festival as Triplicate kept on strongly under Mark Walsh in the extended two mile maiden hurdle. The well backed 7/2 favourite (from 11/2) travelled best on the outside coming to the final flight. He headed Hyperdrive popping that flight and drew clear in the final furlong to win by three and three quarter lengths. Mr Everest (6/1) came through for second with Hyperdrive (13/2) weakening to third, a further six and a half lengths adrift. Joseph O'Brien said: "It was nice to get a winner here as it was a frustrating week with a few placed horses but it's nice to get a winner and he's a nice horse. "He handles an ease in the ground and jumps well. He has a bit to go yet to be a Graded horse over hurdles, and while he could possibly be a Graded horse, he has only won a maiden in August. We'll probably find a winners' race for him next."